Listen, I don’t like football, don’t watch football and can live with the fact that England didn’t play terribly well and crashed out of the world cup after two games. However I really don’t like the current trend in the media and social media that seems to accept it is OK to publish to a wide audience cruel, insulting and hurtful personal comments about a young man just because he is a celebrity sportsman. I was driven to write this post after reading a snippet in Amanda Platell’s column in the Daily Mail today. 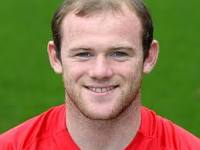 I don’t know Wayne Rooney, I don’t know how intelligent he is, how kind he is, whether he is honest and compassionate. I suspect that the journalists and internet trolls that post vile comments about him don’t know him either. From what I do know, he is a relatively young man who has lived his life in the spotlight. I assume he is a talented footballer or he wouldn’t be playing for Man U and England. I know he has a wife called Colleen and he has two young sons. If is fair enough to critique his passing and defending and goal-scoring skills, but why make vile jibes about his hair, his looks, his intelligence and his lifestyle. This blog post is not about Wayne Rooney; I hope he is resilient enough to ignore the trashy journalists and social media trolls, but it is about a worrying trend in our current culture. I feel the media and politicians should be more responsible about taking care of the mental health of our young people, especially young men where the suicide rate is so high. Seeing this kind of thing in the media might influence some young people to think this kind of personal bullying is OK. After all if journalists in main stream papers are doing it then, why not join in? I know they earn tons of money and most of them have lovely houses and cars, flash motors and beautiful WAGS but that doesn’t mean they are immune to feeling emotions like anyone else and it shouldn’t mean they are fair game to take pot-shots at. What does it achieve? In my view if it shameful and disgraceful. I accept that the writers perhaps do not intend to inflict emotional distress, because they don’t think hard enough before dashing off these comments. I also appreciate that if you are a celebrity you have to accept that getting bad press is part of the deal but that does not excuse mainstream journalists taking vile swipes at their personal lives. As a society where social media is now used by a huge proportion of the population, let’s all take more responsibility before posting and publishing comments. We are living in a culture where we stereotype men as strong and resilient and think they will laugh it off with their mates over a beer, but I know a lot of them will then go home and feel worthless and be crippled with depression and sadness and will suffer in silence because they think it is weak to tell anyone how they feel.